Kymco Agility 50, Available in Silver or Blue, £1271 â€œOn the Roadâ€ inc Road Tax,etc, £99 minimum deposit, 36 monthly payments of £39, Please contact us for a full personal quote. The Agility 50 has plenty to offer if you are looking for a well made, fuel efficient scooter at an affordable price. 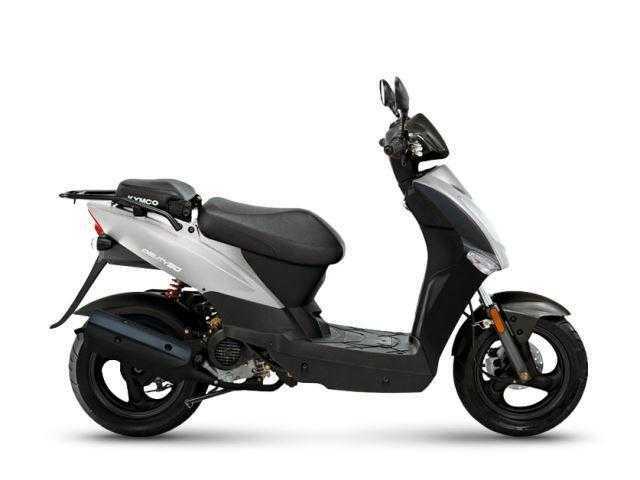 To enhance stability, comfort and safety, this scooter has 12 inch alloy wheels, a front disc brake and a light net weight of just 92kg making it easy to manouver and.